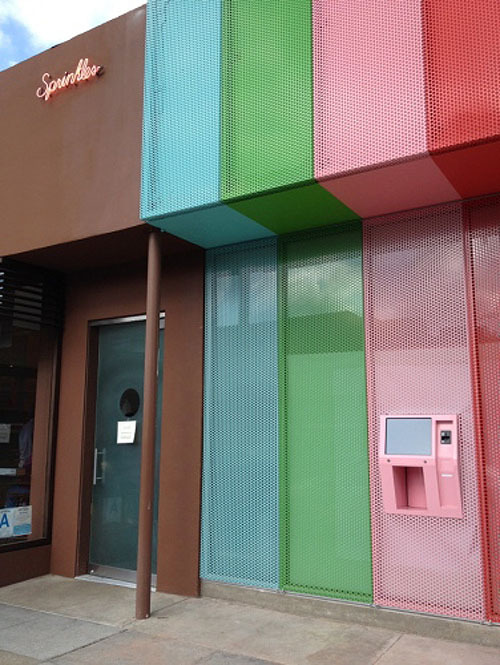 Not being much of a dessert person myself, I can’t really imagine a 4am craving for a cupcake, but I guess it’s reassuring for some of you to know that now there is a 24-hour cupcake ATM to assuage such a desire. 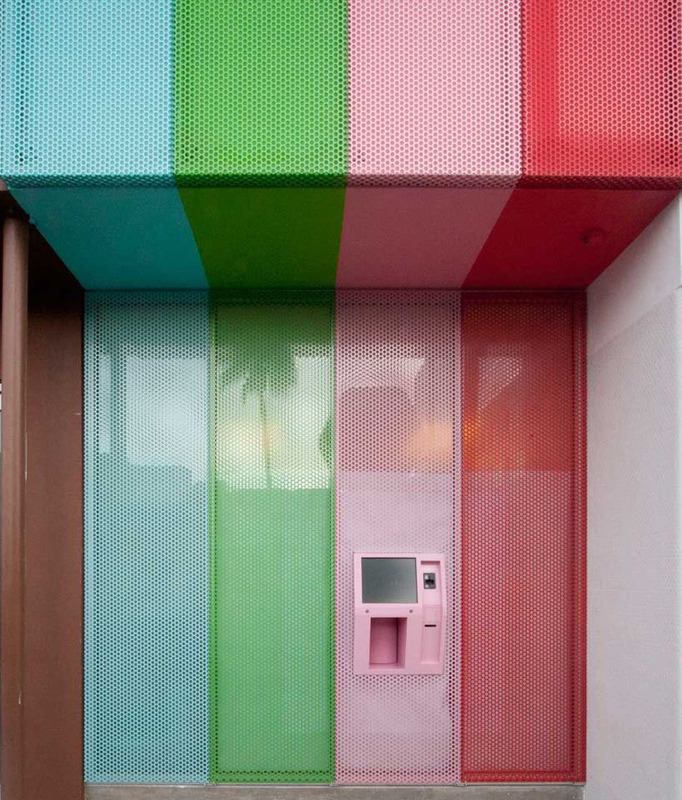 The Beverly Hills bakery Sprinkles has recently installed the cupcake vending machine as part of their storefront and judging from a photo posted to their facebook page, the late-night lines are insane. We’ll have to ask our LA correspondent, Moni, to check this out for us. You might also like these other unique vending machines here. This entry was posted in Food, Fun, Industrial Design, Interaction Design, Just Plain Cool, Pop Culture. Bookmark the permalink. Why Isn’t there one of these in England? How have we managed so long without this?